History buffs and Tourists alike will find touring the Anglo Boer War Battlefields in South Africa an awe-inspiring trip. You will be visiting the theatres that saw ferociously bloody battles between the British, the Boers and the mighty Zulu nations. 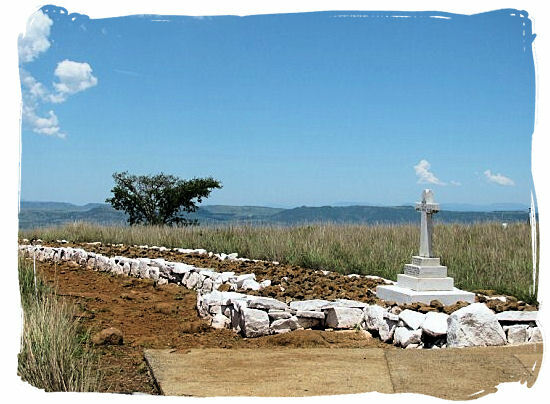 Soaked with the blood of Zulu, Boer and British soldiers, the battlefields are beautiful but eerie places where deep-seated silence speaks to the many lives that were lost on them. 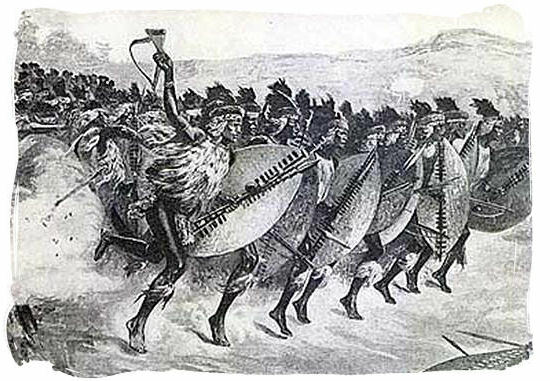 Many of the more renown battlegrounds in South Africa are situated in the province of KwaZulu-Natal where the Zulu wars took place. It all started with the discovery of diamonds and gold. The British realized that there was great wealth for the taking outside the Cape Colony, which ultimately resulted in their annexation in 1877 of the region where the "Voortrekker Boers" had founded their "Zuid Afrikaansche Republiek" (South AfricanRepublic, also called The Republic of Transvaal), 25 years before. British graves at the site of the Battle of Spioenkop. 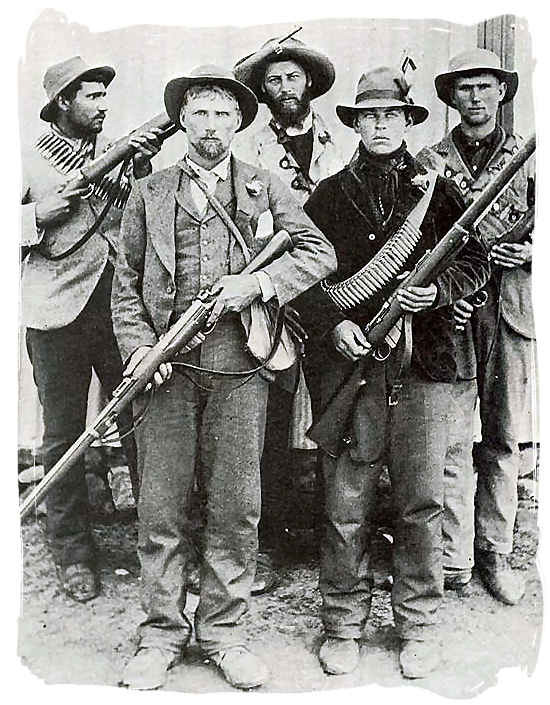 First the Boers clashed with the Zulu when they came from the interior of the Cape across the Drakensberg mountains, to settle in KwaZulu-natal. The Battle of Blood river certainly was the most awesome and heroic clash between the two of them and a turning point in their war. 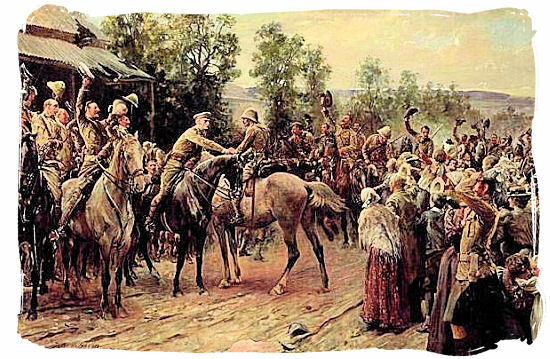 Then it were the British and the Zulus who came to blows as the Empire had annexed the region and sought control over it. 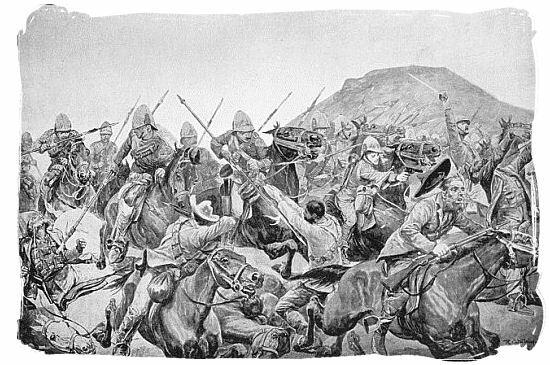 One of the most renown battles between the Zulus and the British was the one that was fought at Isandlwana, where the British suffered one of their greatest losses in their military history. Finally, it were the Boers and the British that got into conflict with each other, adding to the bloodbath KwaZulu-Natal had already seen. 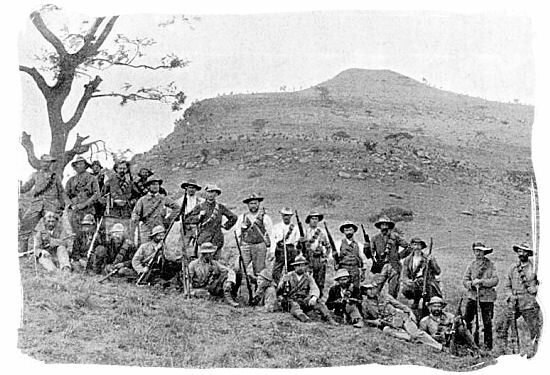 Some of the Anglo-Boer war sites that should be included in any battlefield tour itinerary are the sites around Spioenkop, Colenso and Ladysmith, where some of the fiercest battles of this war were fought. A self-drive tour will enable you to visit the historical battlefields in KwaZulu-Natal and other parts of South Africa at your own pace. Detailed tour maps are available to take you to the battle sites, historical buildings, museums, memorials and burial fields. In between you can explore the Zulu cultural villages in the area, displaying authentic Zulu traditions and serving traditional food. Guided tours of these battlefields bring military and tactical strategy together in an atmosphere that can be chilling. Visit the Blood River battlefield, where Zulu King Dingaan suffered a crucial defeat against the Boers, and then spend an afternoon in a Zulu village where you can enjoy traditional Zulu food and drinks, while learning about Zulu history and culture. 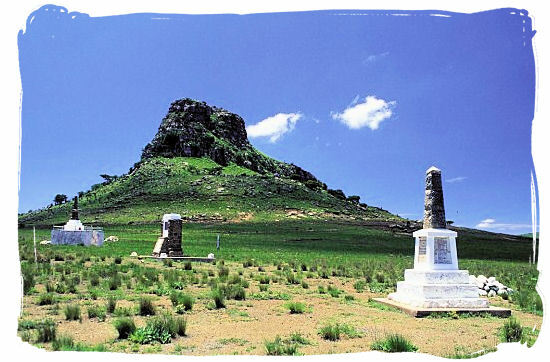 The beauty of the Drakensburg Mountains are in contrast to the grave markers and memorials of Spioenkop where the Boers engaged the British. The Siege Museum in Ladysmith displays documents, artifacts and firearms from this conflict. 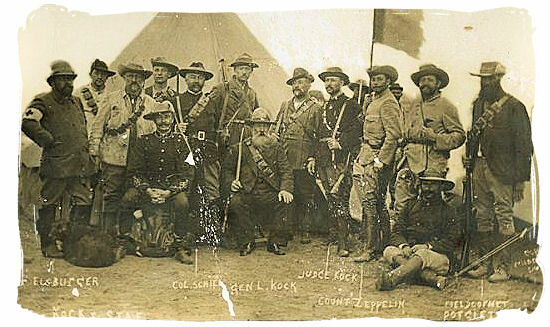 Touring the Anglo Boer War Battlefields in South Africa should include a visit to the cities of Colenso, Estcourt and Newcastle. Aside from history, the Battlefield regions also offer a number of other attractions and activities, such as sailing on the Chelmsford dam or wildwater rafting down the formidable Tugela River rapids. For an opportunity to explore the abundant bird- and wildlife there are the Ithala game reserve, Ntendeka wilderness area, Spioenkop Dam nature reserve, Weenen nature reserve and the Chelmsford Dam nature reserve, among others. 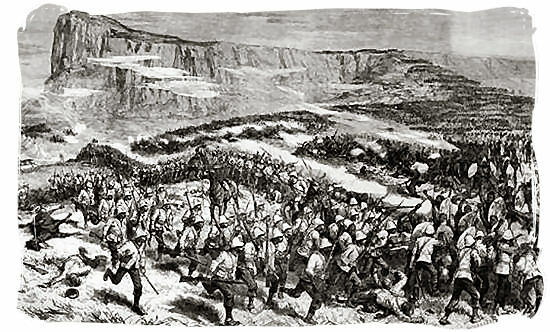 The second Boer War was devastating to both soldiers and civilians. The city of Paardeburg was the site of a huge battle where over 44,000 soldiers fought. Historic safaris visiting many of the Anglo Boer war and South African battlefields should include visits to the Talana Museum, Zululand Historical Museum and the Vukani Museum. Combining history, wildlife safaris and the sights and sounds of the cultural regions allow visitors to enjoy everything the area has to offer.